The tall, handsome man with the close cropped hair was a natural. He had to do it. "Growing up, my mom would not throw away a thing," reports Andy Geremia, founder of Food Runners in Connecticut. "If a tomato was rotted, she would cut away only the really bad part and use the rest." While driving to work one December day in 2008, Andy heard a story on NPR about Food Runners here in San Francisco. Why wasn't there such a program in Connecticut he wondered? That very same morning, Andy called Food Runners founder Mary Risley to see how she got stared. With Mary's guidance and generous support, Food Runners CT was formed in June of 2009. 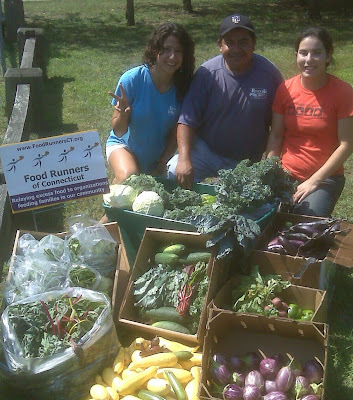 To date, Food Runners CT receives food donations from more than 35 organizations around the state. 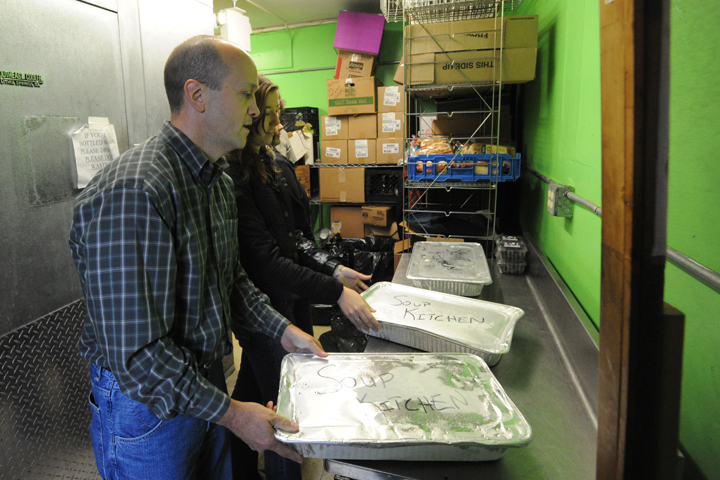 The volunteer pool includes 50+ concerned citizens who, like Andy, are dedicated to alleviating hunger and waste. 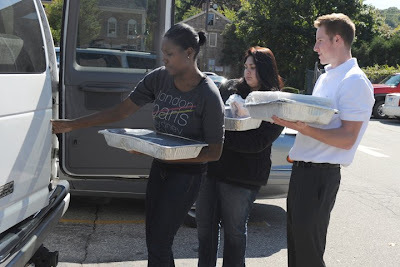 Food Runners CT delivers to 13 organizations statewide from soup kitchens to shelters to mobile clinics. Dave at Wayne's Organic in Oneco did the happy dance when he first heard about Food Runners CT collecting end of the day donations. 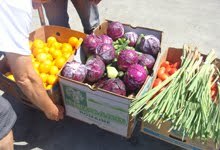 Dave said his pigs and chickens were so well fed, he would rather donate his produce to needy families. A recent Food Runners CT donation, consisting of baked goods, allowed a young mother, who was a client at the social services agency in receipt of the donation to provide a beautiful cake for her five year old son's birthday. One afternoon, a corporate cafeteria donated many trays of sushi (California rolls). The sushi was delivered to a men's shelter where most of the fellas joked that they had never seen sushi before but couldn't wait to try it. In Willimantic, Eastern Connecticut State University students volunteer every Tuesday gathering donations from The Main Street Cafe for delivery to the Covenant Soup Kitchen. Volunteer Deb in Coventry had been doing some food rescue with her local farmers market on an ad hoc basis. Now that Food Runners CT has a regular schedule, Deb reserves multiple slots and is always ready to jump in if another volunteer needs to cancel. Riz in Meriden likes to say he is not a "do-gooder." Really? Riz volunteers regularly for the Aetna run in Hartford. Since signing up in mid-March, Betsy in Southington has been taking the Friday morning Southington Supermarkets run on a weekly basis. Like Food Runners San Francisco, Food Runners Connecticut's mission is to help alleviate hunger and waste by keeping viable, perishable food out of the trash. Because of Food Runners, less food on both coasts ends up in dumpsters and more food ends up on the plates of those in need. It's win-win for everybody thanks to Andy, Mary and all the dedicated Food Runners volunteers! Ever wonder where the excess food from your local market or farmers market goes? Next time you're there, ask. Tell them about Food Runners. No food purveyor in Connecticut or San Francisco need ever throw good food away.